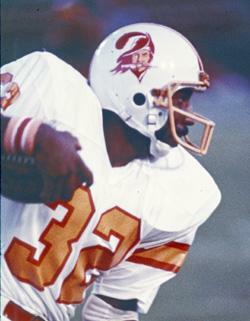 Of the eight backs to have rushed for more than 2,000 yards as Buccaneer, three of them wore No.32. It is without a doubt, the number of the backs. 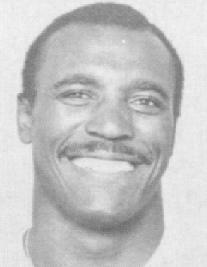 Even from Louis Carter, the man who threw the first touchdown pass in franchise history, the legacy has continued. 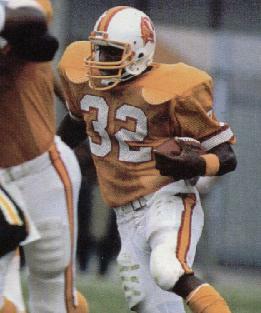 And of course the best of them all, the best offensive player in franchise history in my opinion, was James Wilder. 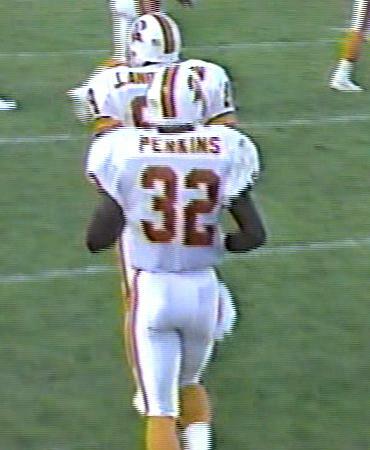 The leading rusher in Buccaneer history and also the man with the most receptions. 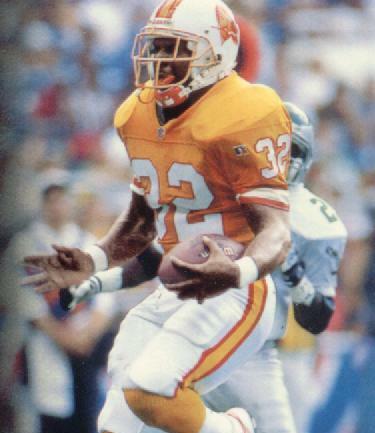 He played throughout the 1980s and went to the Pro Bowl in 1984. Errict Rhett and Michael Pittman have both had their turns in the spotlight, Rhett twice recording 1,000-yard seasons before his career nosedived after an ill-advised contract dispute. Pittman might not have reached that four figure mark in a season, but played six full seasons for the Bucs. The only non-rushers, ares CB Marcus Hamilton who played one game in 2008 before being waived and signed by the team he played against, Chicago and Isaiah Frey who appeared briefly during the 2014 season. Kareem Huggins came off the practice squad late in 2009 to become the ninth player to wear the distinguished jersey. The next three running backs to wear this hallowed backfield jersey did anything worthy of such a franchise honour although Jacquizz Rodgers came along in 2016 and had a 100-yard game in his first start on Monday Night football.